Oh no! It seems like the Phantom Thieves have stolen the “Heart” once again! Now now, before anything else, although it didn’t make the cut of defending its “Take your Heart” title as a wonderful Valentine’s Day Treat for the Premium Edition given the new World Wide Release Date, it’s sure to whet gamers’ appetites still! Behold, the Soundtrack CD “Sounds of Rebellion.” This dominantly cobalt colored CD artwork is safely tucked in a flashy styled sleeve. Next we have the game’s Feline Mascot, your very own 4″ Morgana Plush! It also nests a Hardbound Art Book “The Aesthetics,” which showcases the game’s very own character designer, Shigenori Soejima’s concept arts, illustrations, and more. In addition, the SteelBook secures the video game disc in place, it even has the character roster both inside and out. To top it off, the Premium Edition contains a School Bag complete with the Emblem. 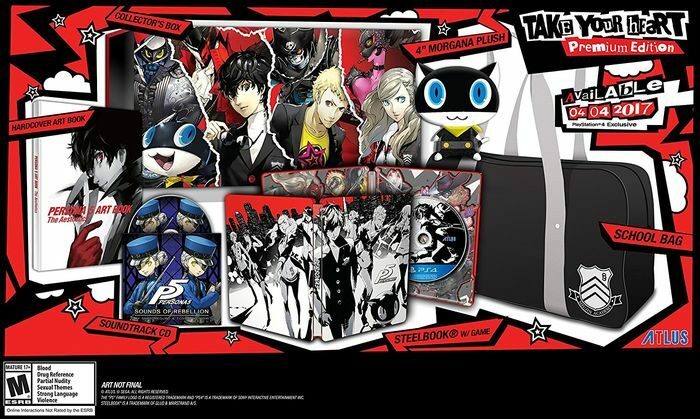 Feel free to use it either as a collectibles container, or if you prefer to wear it for school and relive the experience, then strap it and walk proud as a student of Shujin High! While we’re still waiting for the game, why not check out the trailer to see for yourself? Whether you’re just psyched to go back to campus, or similarly excited to activate your Persona powers, it’s back to school once again! 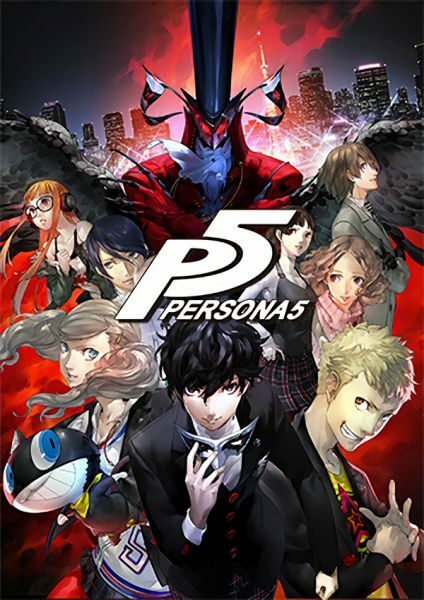 With less than 2 months from its release, Persona 5 is sure to please both old and new players of the installment. Whether or not you have already played it on the PS3, it seems like a great haul for keeps. The retail price for the Playstation 4 is set at 89.99 USD, quite a bargain.